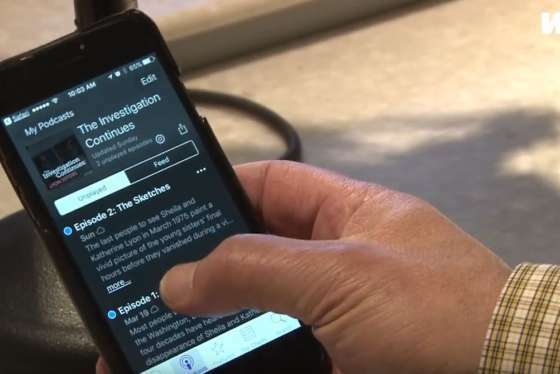 The Investigation Continues is an investigative podcast series hosted by WTOP's Neal Augenstein. The series debuts with a 5-part look at the 1975 disappearance of Sheila and Katherine Lyon. The Investigation Continues is a new podcast from WTOP. It focuses on the 1975 disappearance of 12-year-old Sheila Lyon and her 10-year-old sister, Katherine — a case that has haunted the D.C. region for more than four decades. Everything you need to know about subscribing to "The Investigation Continues: Lyon sisters" podcast. The Investigation Continues examines the circumstances behind the Lyon sisters’ disappearance, and the clues investigators pursued and, in some cases, missed. Episodes will be available on this page and can be played on a desktop or mobile device. Listeners can also subscribe to the podcast on iTunes or Podcast One. During Easter vacation in 1975, Sheila and Katherine walked from their home in Maryland to nearby Wheaton Plaza mall. They were never seen again. The 40-year search for the girls and their abductor upended a family, tested the resolve of investigators, and caused parents to rethink their children’s independence. Lloyd Lee Welch was expected to plead guilty in September to the 1975 murders of Sheila and Katherine Lyon. WTOP’s Neal Augenstein looks at what happened, the risks, and why it was so important to many people. More than 42 years after Sheila and Katherine Lyon vanished from Wheaton Plaza, Lloyd Lee Welch was set to go on trial for their murders in remote Bedford, Virginia. Would the Lyon family finally get the answers and justice they’ve sought for decades? Lloyd Lee Welch will go on trial in September 2017 for the murders of Sheila and Katherine Lyon, although their bodies have never been found. Investigators finally believe they know what happened to the young sisters who vanished almost 40 years ago. After years of frustration, investigators named a person of interest in the Lyon sisters’ disappearance – an accused serial killer who had moved to Montgomery County soon before Sheila and Katherine disappeared, and who left after another young woman was brutally attacked. The last people to see Sheila and Katherine Lyon in March 1975 paint a vivid picture of the young sisters’ final hours before they vanished during a visit to the Wheaton Plaza shopping mall. Sheila and Katherine Lyon, the daughters of a popular local radio broadcaster, walked to Wheaton Plaza mall on March 25, 1975, to see Easter decorations and have lunch. They never made it home. In episode 1, we hear moment-by-moment recollections of what happened that fateful day and recall the initial steps of the police investigation. 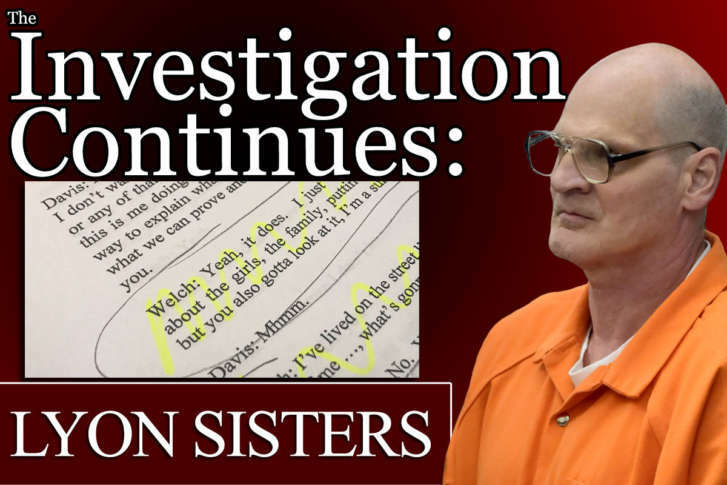 Stay tuned for details about when reporter Neal Augenstein will conduct a Facebook Live chat to discuss The Investigation Continues: Lyon Sisters. This is your opportunity to ask him questions and join the conversation about the case. Like WTOP on Facebook and you’ll be sent an alert when we begin our Facebook Live discussions. You can also email questions and comments directly to Neal.